Are diggers your thing? Then grab this noisy tale of mighty machines by the Rumble in the Jungle artist. 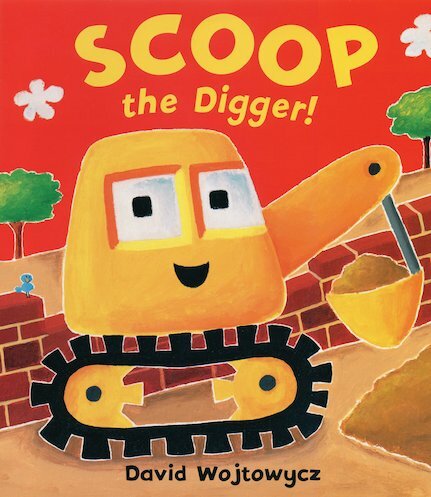 Thrills and spills on the building site: a funny story packed with awesome machine action. The super-bright pictures have trucks, cranes and cement mixers everywhere you look. Now, you might think that on a building site, all the vehicles matter. That’s true. But Scoop thinks he has the best job of all. So he starts showing off to the other machines. Bad move. It looks like even super-strong diggers need a helping hand sometimes.